BUFFALO, N.Y. (WKBW) — Governor Cuomo has now signed the controversial "Reproductive Health Act" into law which extends abortion rights for New York State women. The legislation was strongly opposed by the Catholic Church which feels the law will create unsafe situations with non-doctors performing abortions, opens the door for late-term abortions, and removes criminal prosecutions for suspects who attack a pregnant women and cause her to lose her unborn child. The Diocese of Buffalo was one those that voiced its concern about the new law and the negative impacts it will have. 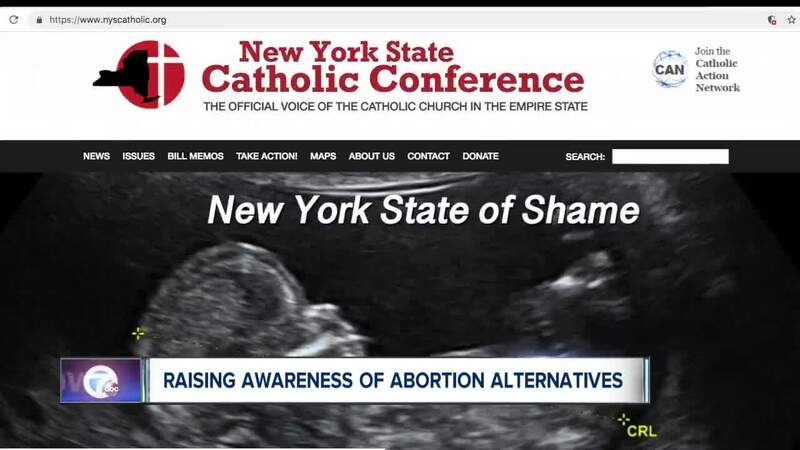 In the attached clip, 7 Eyewitness News Reporter Ed Reilly looks at how the Diocese now plans to put its efforts into raising awareness of alternatives to abortion through programs like the St. Gianna Molla Pregnancy Outreach Center and the Mother Teresa Home. More information about the St. Gianna Molla Pregnancy Outreach Center. More information about the Mother Teresa Home.